Do toi think Trixie is obsessed with cacahuète, arachide beurre crackers? Do toi want to tickle Rarity's armpit? Do toi want Sunset Shimmer to become bad again? Out of 5 stars, how would toi rate Equestria Girls? le choix des fans: 5 stars!!! That movie was amazing! Have toi watched Equestria Girls? who is your favori poney in equestria girls? When will the Toy's come out? My Little Pony: Friendship is Magic is a very populaire animated show. This liste ranks all of the show's important characters as well as Sunset Shimmer from the Equestria Girls film series. In order to keep the liste from being too long characters that aren't relevant to the plot aren't included like Big Macintosh, Snips, Snails, and Trixie. Despite being a real populaire character Princess Luna didn't stand out for me. Her personality, storylines, and dialogue isn't that interesting ou memorable. Twilight Sparkle and her Friends should be careful, because this liste is about their enemies. 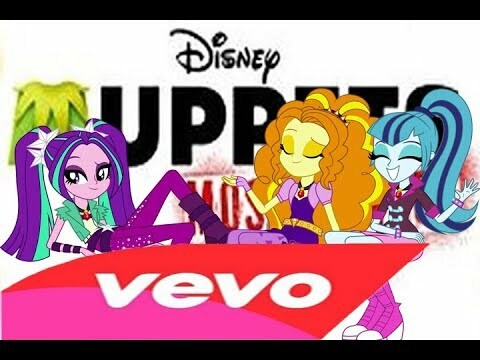 This liste is about my haut, retour au début 5 favori Equestria Girls antagonists so both villains and their sidekicks are allowed. Sunset Shimmer is the main antagonist in the 2013 Equestria Girls film. She was a cool enemy to Twilight Sparkle who managed to be quite threatening. In the sequels she's not a villain. Darn. Um I mean good. Sort of. It's time to discuss the greatest film series ever. The My Little poney Equestria Girls has 4 films and it's time to review them all. Summary: poney Twilight Sparkle goes to the human dimension to get her princess crown. She becomes Friends with human versions of her Friends and they team up to stop Sunset Shimer. a poll a été ajouté: Do toi want to tickle Rarity's armpit? a poll a été ajouté: What célébrités would toi like to see guest étoile, étoile, star in an Equestria Girls content? For those who MLP: EG like I do! MLP EG Best EG Drawer Contest!